Train for your next job. Mechanical Engineering Technology is a great fit for students who want to take a hands-on approach to mechanical engineering. 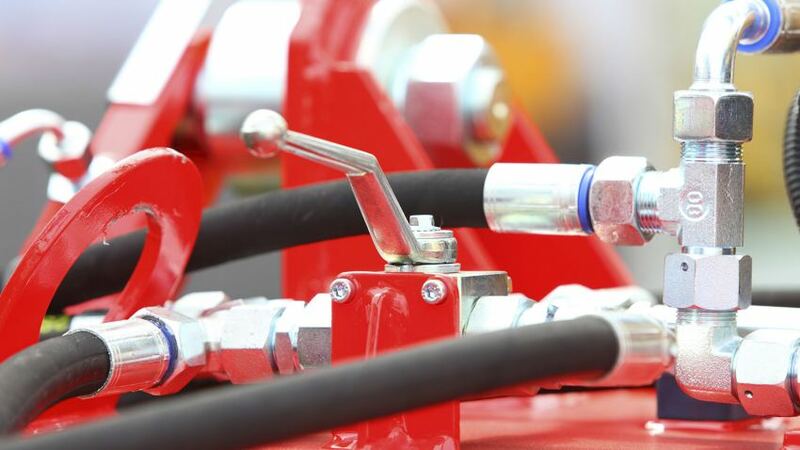 Mechanical engineering technologists participate in the design, development, testing and manufacturing of industrial machinery, consumer products, engines and other equipment. Thomas Nelson’s Mechanical Engineering Technology associate of applied science program emphasizes the application of scientific and engineering principles. The curriculum is grounded in math, science and engineering principles with practical lessons in computer-aided drawing and design, composite materials, hydraulics and other technical areas. Thomas Nelson has partnered with Newport News Shipbuilding to offer a program designed especially for shipyard employees. Offered in conjunction with the apprenticeship program, the curriculum allows employees to earn an associate degree and includes courses in naval architecture, engineering and more. Engineers and technical consultants need you. 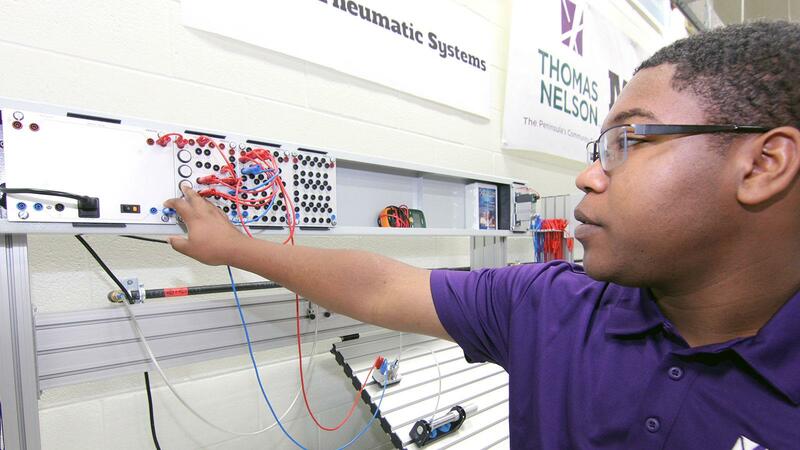 Train for an entry-level job as a mechanical technician with Thomas Nelson’s Mechanical Engineering Technology program. You’ll learn about basic drafting skills, machine shop operations, materials and processes of manufacturing, computer programming, statics, dynamics and more. According to the U.S. Bureau of Labor Statistics, opportunities for mechanical engineering technologists continue to grow. Mechanical Engineering Technology graduates may qualify for opportunities with employers such as NASA Langley Research Center, Newport News Shipbuilding, Continental, Liebherr, HOWMET Alcoa, Cannon and other support contractors. Graduates also work in aircraft, automotive, transportation, military and industrial machinery industries. If you plan to continue your studies at a four-year institution, be sure to ask about Thomas Nelson’s articulation agreement with Old Dominion University (ODU). Students who meet certain course and grade point average criteria can take advantage of guaranteed admission to ODU.